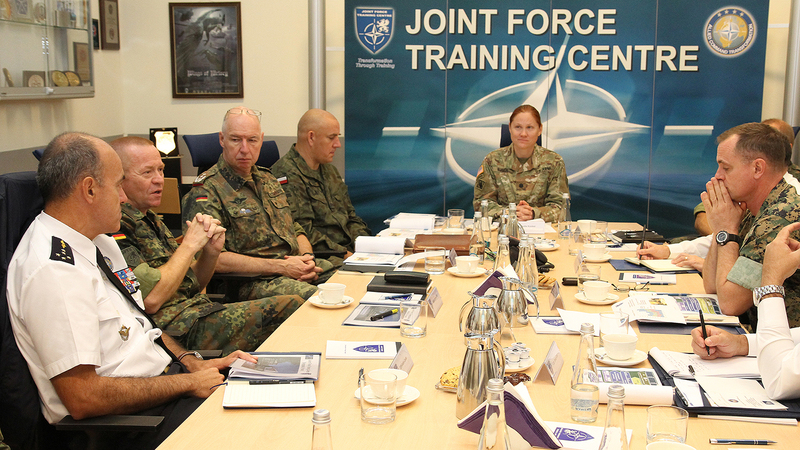 The Joint Force Training Centre (JFTC) was the first subordinate headquarters visited by the new Supreme Allied Commander Transformation (SACT). 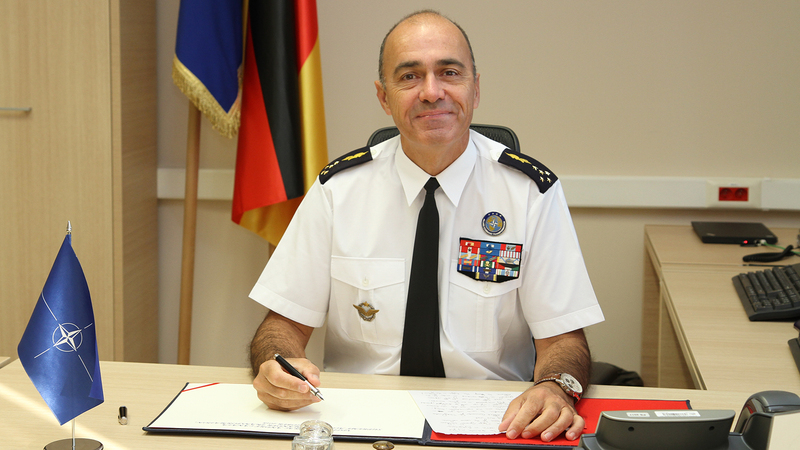 General André Lanata, French Air Force, arrived in Bydgoszcz on 1 October. 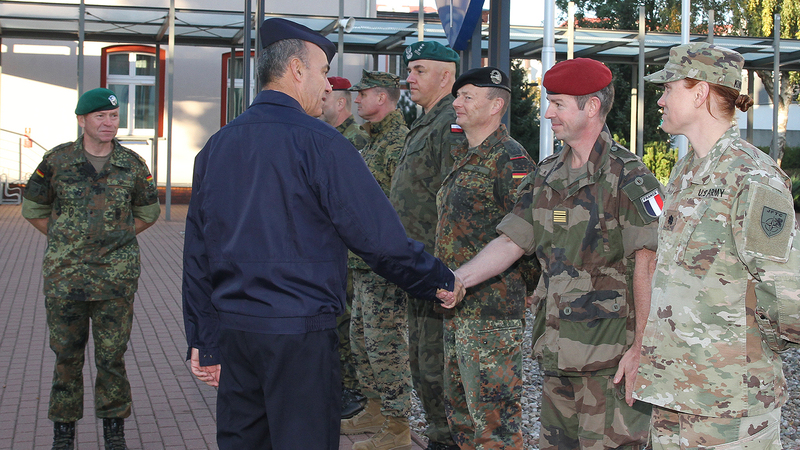 “I am very pleased to dedicate my first visit to JFTC in Bydgoszcz and I want to thank Major General Grün and his team for the warm welcome I received today” - the new SACT expressed at the beginning of his visit. “I am enthusiastic to work with you in all domains from training to experimentation and innovation.” Discussions between SACT and JFTC’s leadership focused on all the domains General Lanata mentioned. 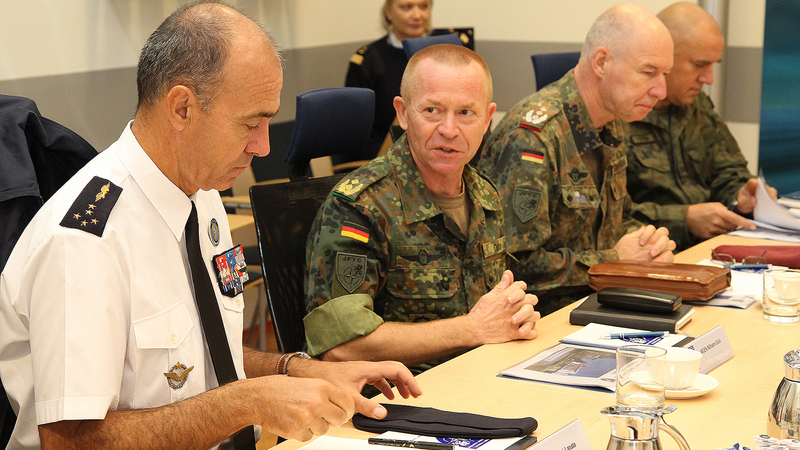 To give the guest a realistic picture of the Centre, Major General Wilhelm Grün, the JFTC Commander, provided General Lanata with in-depth information about JFTC main activities, development in the training area, new challenges and plans for the future. 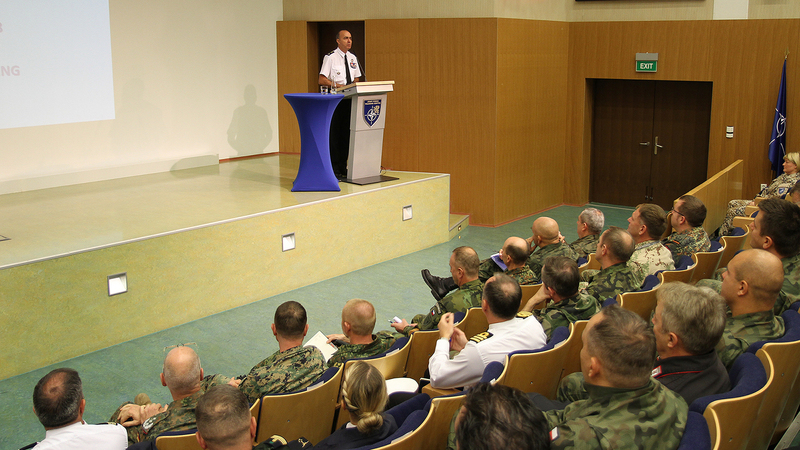 SACT was especially interested in JFTC expertise related to pre-deployment training. 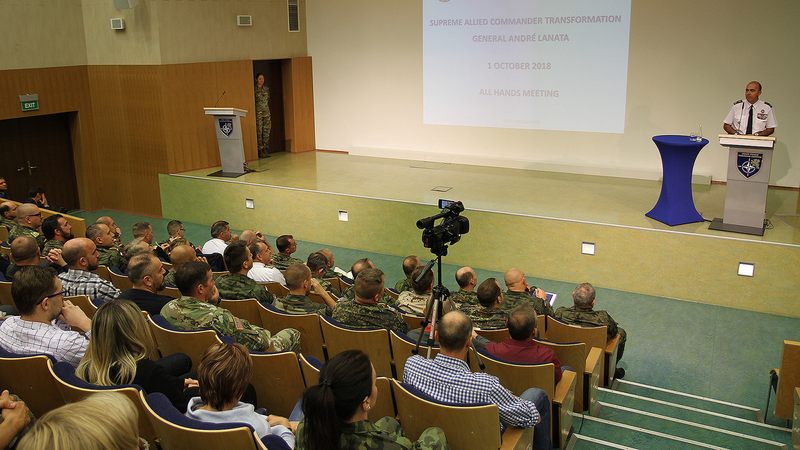 “The work you did supporting then ISAF and now Resolute Support mission as well as the brand new NATO Mission for Iraq, is commended in the Alliance and around” – General Lanata said later during the all hands meeting with JFTC personnel. 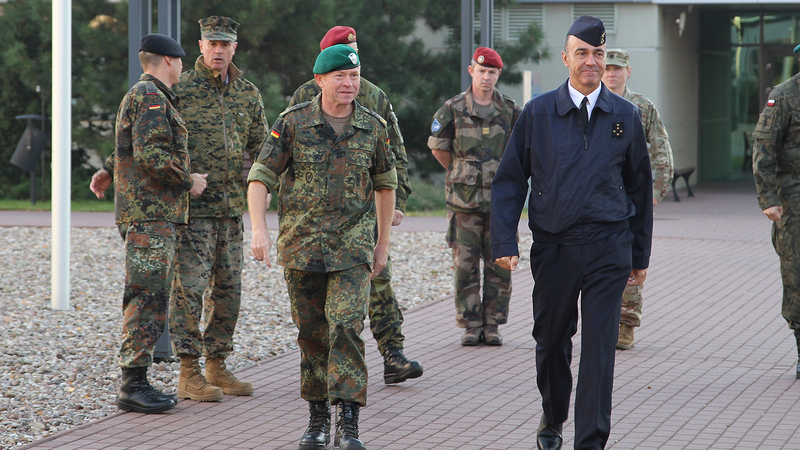 The discussions also touched upon JFTC’s relations and cooperation with both NATO strategic commands – Allied Command Transformation and Allied Command Operations, challenges and opportunities triggered by the ongoing NATO Command Structure adaptation process as well as the Centre’s efforts in the area of NATO capability development and innovation. “ACT is warfare development headquarters, which simply means our areas of interest are in capability development, training, innovation, partnerships”- SACT highlighted. “Developing innovation is also part of JFTC mission”. 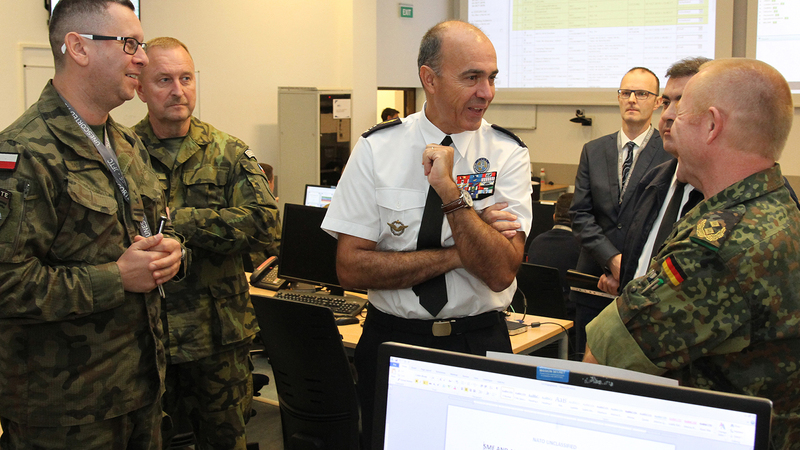 During the meeting with all JFTC personnel General Lanata recognized the Centre’s work and underlined that JFTC played a key role in the NATO transformation process - by delivering joint pre-deployment training, supporting current operations and emerging requirements, and by offering a platform for experimentation, testing and interoperability. “I would like to highlight the outstanding job you all accomplished during the last period. I was told that last Trident Joust, Citadel Bonus, Steadfast Pyramid or Steadfast Pinnacle exercises you conducted last year and until September 2018 among other exercises and activities were again a series of success. I want to publicly congratulate you all on this very good job”. 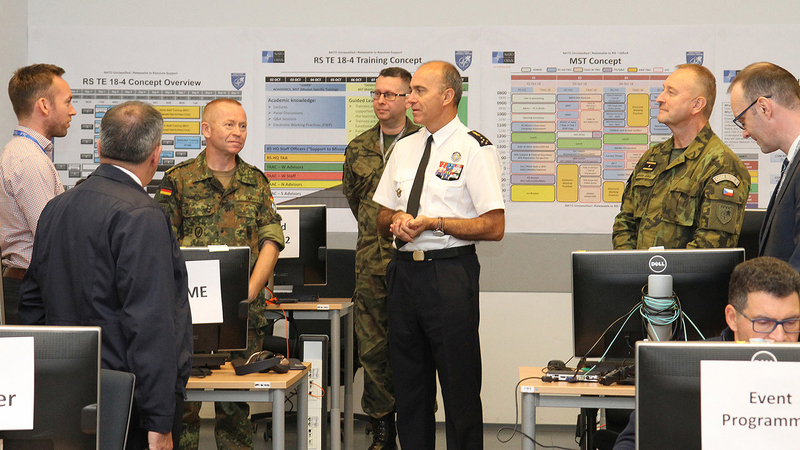 Supreme Allied Commander Transformation visited the Bydgoszcz NATO training centre at the final stretch before opening of the fourth 2018 Resolute Support training event. A tour through the JFTC compound which was ready for the training, gave General Lanata a full picture of the Centre’s capabilities in support of training. General André Lanata took over the responsibilities of the Supreme Allied Commander Transformation from General Denis Mercier during the change of command ceremony held on 11 September.